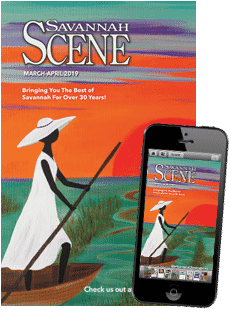 As a five-year-old girl, Jery B. Taylor learned the art of sweetgrass basket weaving from her grandmother on the grounds of Boone Hall Plantation near Charleston, SC. Today, Taylor owns Jery’s Baskets, an artist studio located in the heart of Savannah’s City Market that showcases her handwoven baskets, bowls, trays, fans and vases, as well as her original paintings. The intricate circular patterns that begin with a simple knot of lush green sweetgrass quickly evolve into ornate pieces of art that are the perfect memento of a vacation to coastal Georgia. 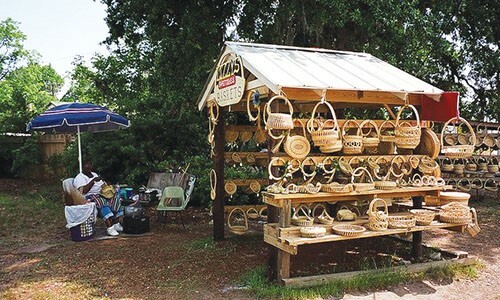 More than a commercial product, these baskets are a lifeline to the endangered Gullah-Geechee culture, which traces its roots to West Africa, and has been featured on HGTV and the Discovery Channel. Taylor’s baskets are even included in the permanent collection at the Smithsonian museums. The eye-catching baskets were originally developed as utilitarian resources designed to assist with the cultivation of rice. Baskets were hand-woven from sweetgrass, pine needles, palmetto fronds and bulrush to transport, store, fan and slip the prosperous rice crop. 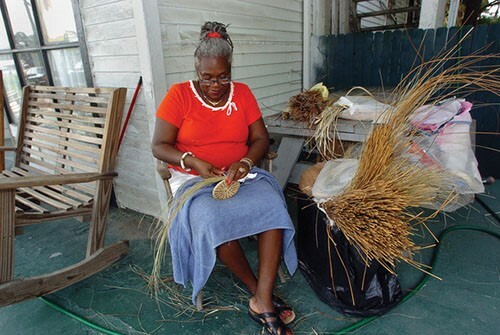 Some Gullah-Geechee descendants, especially females, learned the techniques of basket weaving from their elders, like Taylor. Others were taught techniques specifically for bulrush baskets from teachers at the Penn School for freed slaves on St. Helena Island, SC. Taylor learned the technique from the daughter of a Penn School alumnus, who taught her the distinctive pattern in the 1990s. 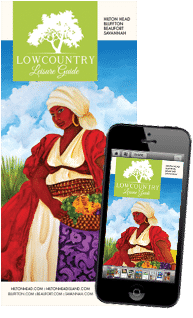 Taylor’s determination to keep the Gullah-Geechee culture alive—and to venture outside her comfort zone—inspired her to take up painting in 2007. Her folk art paintings, which are created with acrylic paint, are popular with visitors, as well as local residents. 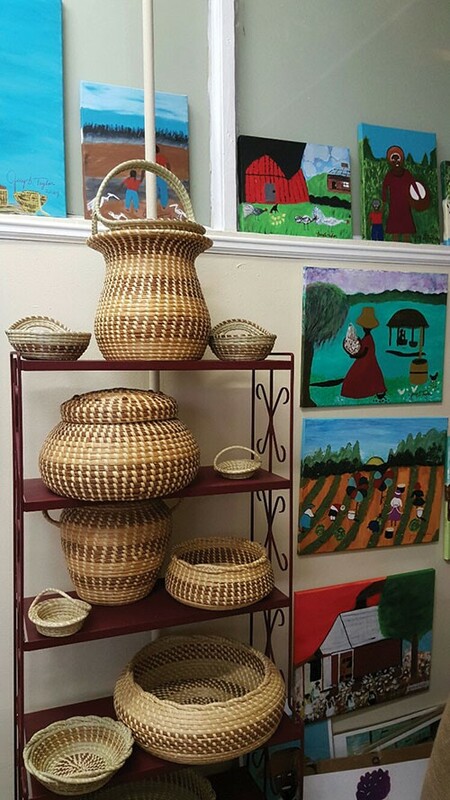 To see Jery B. Taylor’s handwoven baskets and original paintings, visit Jery’s Baskets, located upstairs in the City market Art Center on West St. Julian Street. Her studio is open daily from 8 a.m.-6 p.m. Shop online at jerysbaskets.com.